Window awning keeps a room’s indoor air comfortably cool and protects a home’s textiles and décor from discoloring. 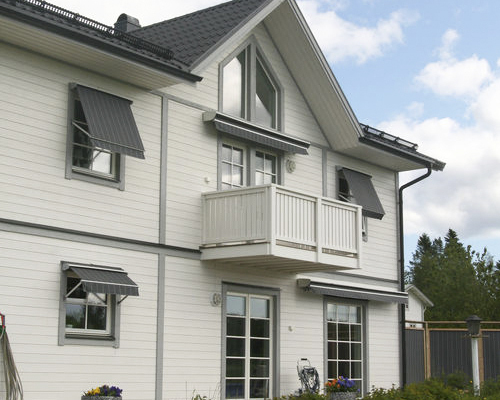 Window awnings are an important part of energy friendly living. Window awning helps you to reduce a house’s cooling and air condition costs. Window awnings protects you from excessive light without covering your view. Window awnings gives your house a new look and with your choice of fabric you can either blend in to the façade or bring some color out. Awnings are available with or without casing, motorized or with a manual crank. Choice of window awning is dependent on window size and general intent of use. Sunsystems manufactures four different types of window awnings to custom measurements. Window awnings can be adjusted via remote control or manually. Sunsystems window awnings are made from 100 % acrylic fabric. Fibre coloring ensures a long lasting vibrance while the surface’s Teflon finish makes the fabric self cleaning and dirt and mold proof. We have 150 fabric options available. Go to our awning selector! IM500 is a sturdy window awning which allows you to restrict sunlight and cumulating heat. IM500 –this window awning is good sun protection for single households and performs better as a unit in schools, offices, restaurants, hospitals and other public buildings. Window awning IM500 can be installed to a roof or wall and it can be equipped with fabric protecting shelter profile, if you want. This awning’s side arms’ spring force can be adjusted depending on what are window awning’s dimensions. IM400 is a sturdy window awning whose side arms’ spring power is adjustable according to awning’s dimensions. Elegantly designed aluminum tape protects awning fabric from the wind and blizzards. Instead of just at home, other uses are for example cottages, offices, shops and schools. With the IM400 –window awning you can easily adjust sun light coming inside and the resulting heat. 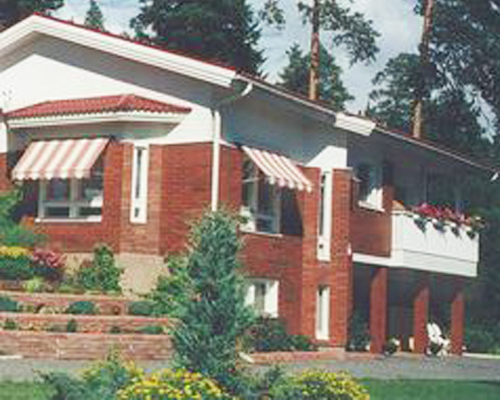 In addition, window awnings gives an elegant look to your house. 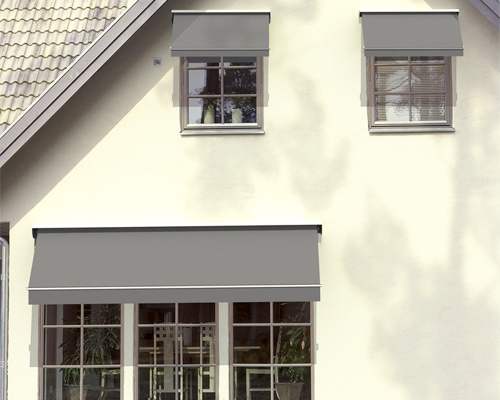 IM300 is user-friendly and elegant traditional window awning. IM300 awnings are easy to use with ribbon adjustments indoors or outdoors. The awning is provided with a case that protects the fabric. IM300 window awning is imposing and it’s suitable for both small and bigger windows. Brackets places can be chosen freely for the whole width that makes installation easier. IM200 is simple, functional value choice for smaller windows. 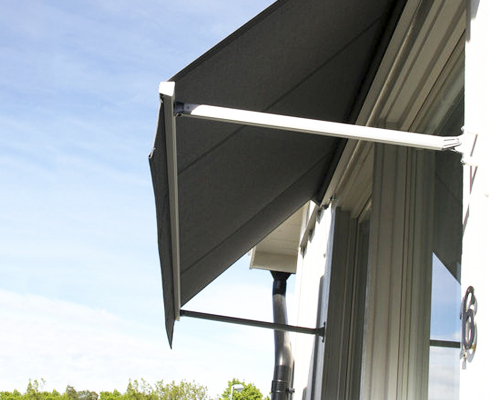 IM200 window awning has an easy-to-use cord adjustment usable from both indoors and outdoors. IM200 is a leaner version of the IM300 window awning that doesn’t come with a protective case. You can find more information about our awnings from the manufacturer’s website.